Keeping the exterior of your car clean is not difficult. Regular washing and occasional waxing is pretty much all it takes. But, what about the inside of the car? People spend much more of their time inside the car than they do looking at it; a clean interior has a much greater impact on a person than a shiny exterior. Unfortunately, it does not seem to take long for a nice, neat car to become a cluttered, sticky mess. A car interior is a harsh environment, subjected to extreme temperatures, sun and moisture. Add to that all the things people do in their cars — everything from eating and drinking to shaving and applying makeup. This kind of abuse takes a toll on the interior. Cars with leather interiors seem to fare even worse; when leather is not properly cared for, it fades and cracks. A nice-looking interior makes the entire car look better. It will immediately make the car more pleasant to ride in, and have an impact on resale value later. Cleaning the interior of a car does not have to be difficult, and the equipment and materials needed are not expensive. 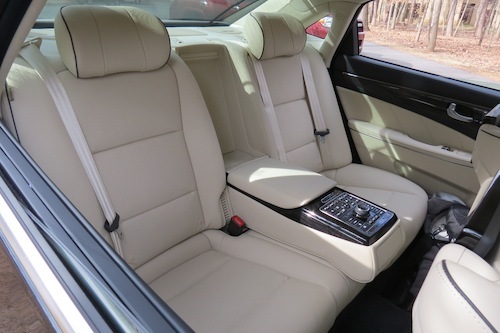 When it comes to cleaning the inside of a car, there are three surfaces that need attention: soft surfaces like cloth and carpet, smooth surfaces like metal and plastic, and seats made of vinyl or leather. Few things make the car interior look worse than a lot of clutter. Cars tend to accumulate papers and garbage, making them look messy and sometimes smell bad too. Start cleaning by removing everything that does not need to be in the car. Use a specialized car vacuum or an upholstery brush attached to a home or wet/dry vacuum to clean carpet and cloth. Use a crevice tool to clean the hard-to-reach corners of the dashboard and small areas such as vents. Use the microfiber cloth to wipe all nonporous surfaces, except for leather. A quality cleaner will not only remove oils and dust from surfaces, it will also seal tiny pores and cracks in vinyl and plastic, to keep them looking better longer. Vinyl seats should be cleaned with the same cloth and cleaner. Leather is an organic material and needs special care. There are two steps in caring for leather; first, it must be cleaned. Leather cleaner is designed to remove dirt, oil and grime. After cleaning with a leather-specific cleaner, a good leather conditioner should come next, what will put the moisture back in. Use a microfiber cloth or chamois to apply all over the seats. This will nourish the leather and make it soft and supple. When it’s well taken care of, leather upholstery will look and feel great for many years. A car is a significant investment. It is also a place where people spend quite a bit of their time. Dirty cars not only look sloppy, they are uncomfortable to sit in and have significantly lower resale value. With a small investment in time, tools and materials, a car can stay looking great and turn heads everywhere it goes. Hyundai Equus photo courtesy of Auto Trends Magazine. All rights reserved.